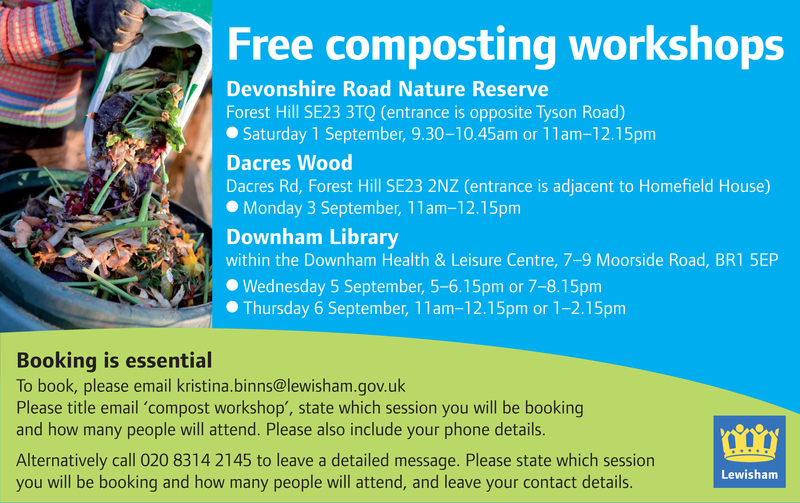 Lewisham Council is offering free composting workshops that you, your family or your friends may be interested in. 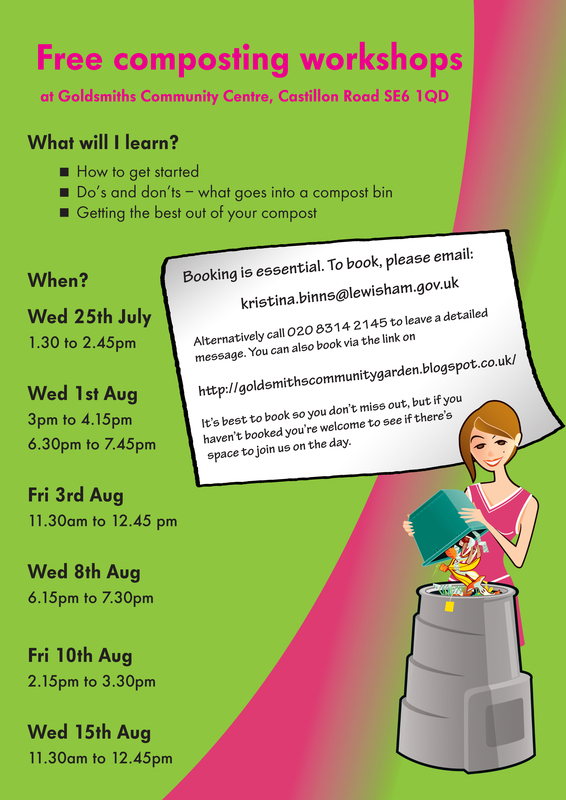 The workshops will give you lots of tips and information and you will learn how to compost properly so that you can turn kitchen and garden waste into good useful compost that can be used on your garden. Learn how to set up a compost bin, what can and cannot go into a compost bin, getting the right mix and trouble shooting. There’s no need to bring anything apart from yourself but if you could be there five minutes before starting time, that would be great. Looking forward to seeing lots of people there. Categories: composting, Environmental Campaigns | Tags: compost, compost bins, compost workshops in Lewisham, composting, composting workshops, free compost bins, free composting workshops, learn to compost in Lewisham, Mr Compost, Mr Compost says, workshops | Permalink. Love food? Hate waste? Like composting? 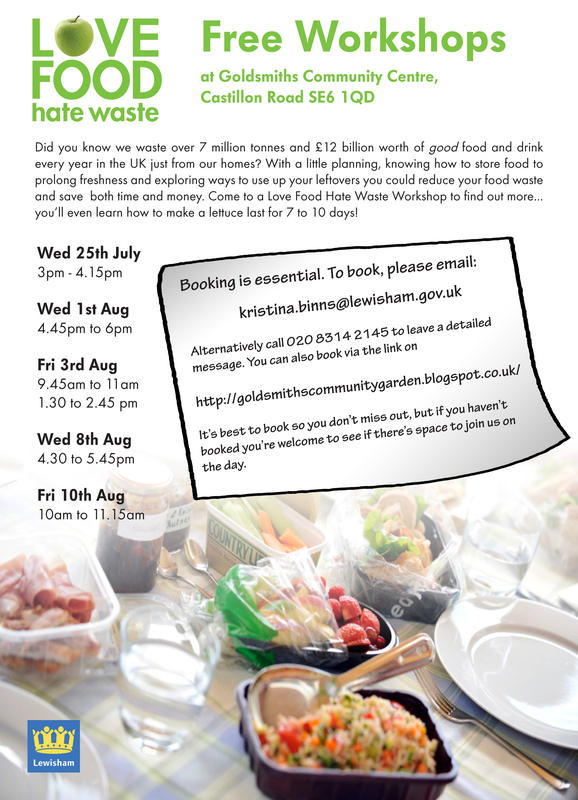 Categories: composting, Environmental Campaigns, garden waste | Tags: compost, Compost workshops in Downham, compost workshops in Lewisham, composting in Downham, food stoarge tips, food waste, free compost bins, Goldsmiths Community Centre, learn to compost in Lewisham, LFHW, love food hate waste, love food hate waste workshops, workshops | Permalink. 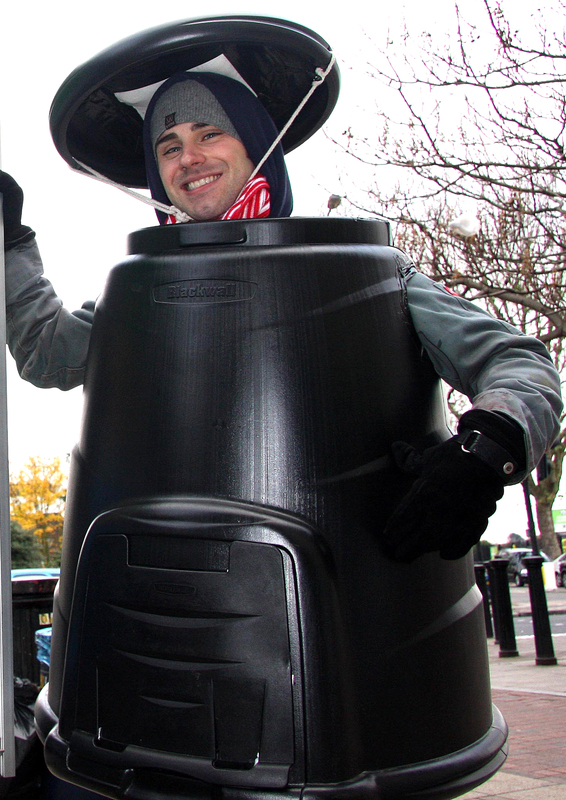 Enter your email address to subscribe to the Recycle for Lewisham blog and receive notifications of new posts by email.